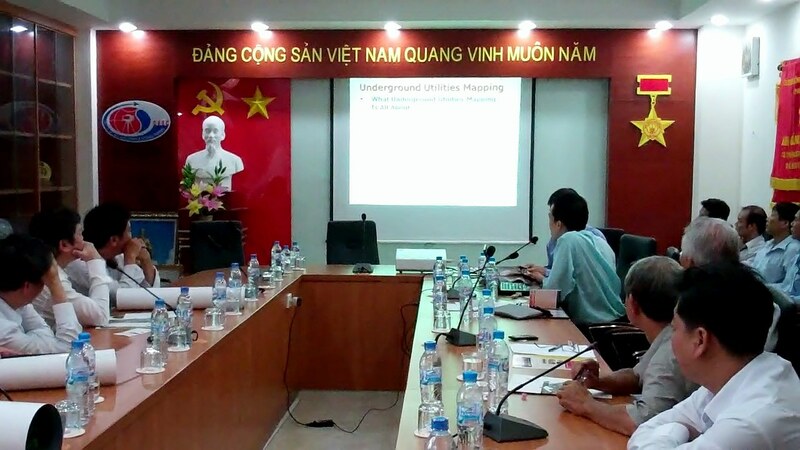 Above: Mr Kwok Wui Kang of JPsurveys (right row, front) making the technical presentation of underground utility detection (UUD) survey at Ho Chi Minh City. A few key members of JPsurveys recently visited Ho Chi Minh City and had a very informative technical exchange session with Department of Natural Resource and Environment HCMC, Branch of Scientific Institute of Geodesy and Cartography and others members of HCMC Association of Geomatics. The main technical subject discussed was underground utility detection and mapping work of which JPsurveys has been actively involved in for the past few years. 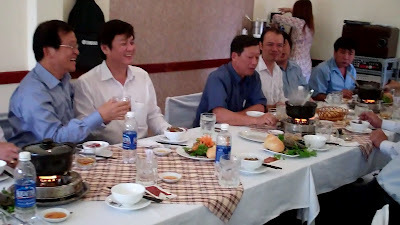 JPsurveys also took the opportunity to introduce the new Navcom Land-Pak GNSS system to the Vietnamese surveyors. We would like to thank Mr Dao Anh Kiet, Director of Department of Natural Resource & Environment HCMC and Mr. Tran Dinh Au, Head of branch of scientific institute of Geodesy and Cartography for receiving the team and the hospitality given to us during our visit. We are especially grateful to Mr Vu Hoang Anh, president of HCMC Association of Geomatics for arranging this meeting/session for us. All in all, it was a fruitful session, and we were very happy to be to be able to renew our friendship with the land survey and geomatic community of HCMC.